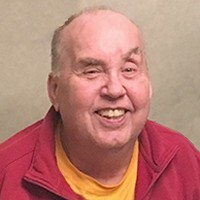 Kulas, Thomas Michael "Tom" passed away peacefully 17 Feb 2019 surrounded by his family. He grew up in Trempealeau County, WI and graduated from Cotter High School in Winona and from the University of Wisconsin, Madison with a Bachelors in Electrical Engineering. He worked for over 30 years at (NSP) Xcel Energy as a Distribution Engineer. He was an avid amateur ham operator and Packer fan and volunteer for Bridging and Habitat for Humanity. He is survived by wife Helen (Hoxmeier) of over 37 years, brother Fr. William Kulas, daughter Christina Sharp Libaire, grandsons Vincent and Samuel Libaire, and many cousins. A celebration of life mass will be held in the spring. Donations in his honor may be sent to St. John the Baptist Catholic School, New Brighton, MN or Twin Cities Public TV.